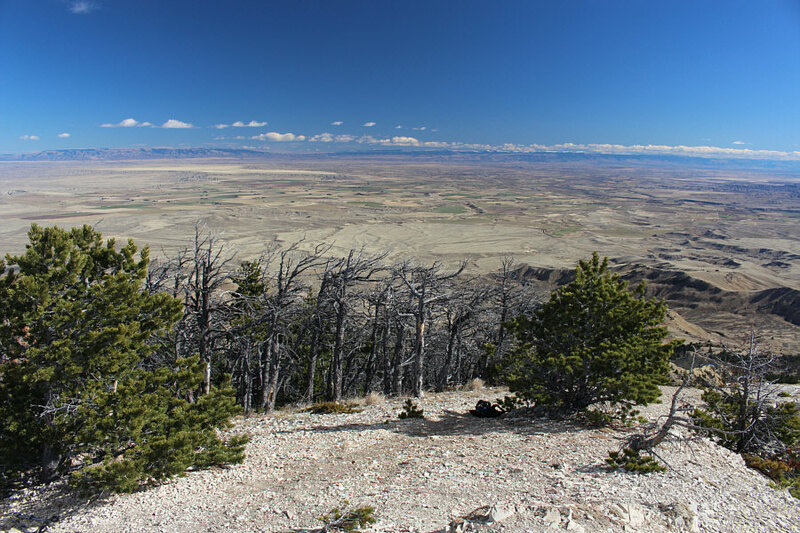 For the last leg of our Fall 2017 vacation, Zosia Zgolak and I hiked up Heart Mountain near the town of Cody in northern Wyoming. I first noticed this striking landmark while driving through the area in 2013. 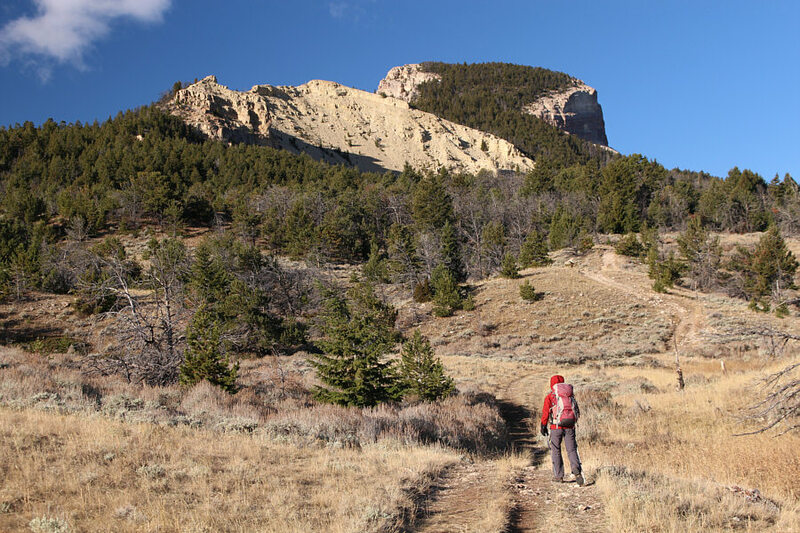 Standing out conspicuously in the middle of a vast prairie landscape, Heart Mountain is seemingly popular with local hikers. 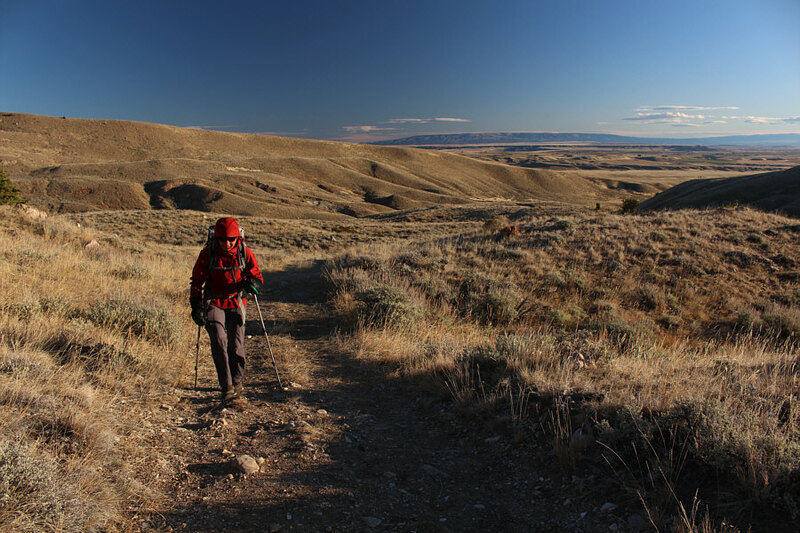 A well-maintained trail runs up the east side of the mountain and starts at an interpretive centre which is easily reached via a good gravel road (excellent driving directions can be found here). After sleeping in Cody the previous night, Zosia and I woke up early on the morning of 21 October 2017 and spent about an hour driving to the interpretive centre (there is an outhouse and ample parking here). 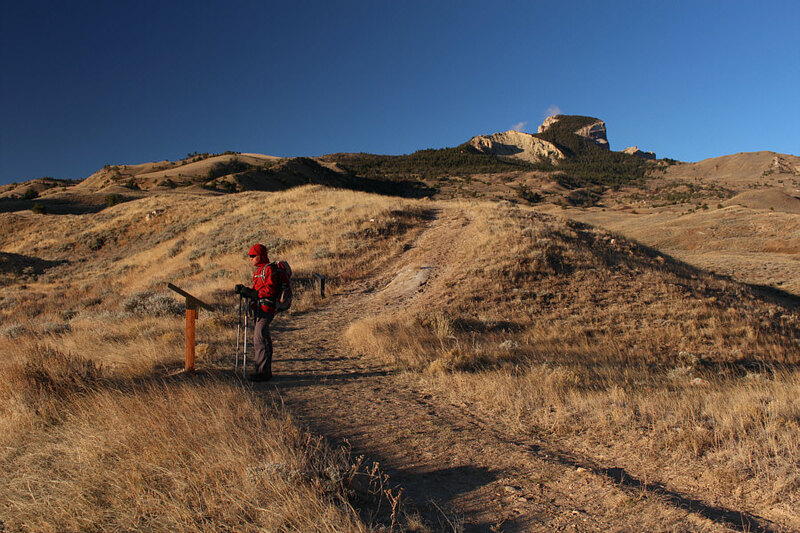 Beyond the interpretive centre, the trail climbs gently through rolling foothills to the forested base of Heart Mountain. The wind was really howling on this day, but since we were approaching the lee side of the mountain, we were largely sheltered from the full brunt of the wind. Interpretive signs are spaced regularly along the trail all the way up the mountain, and we stopped to read almost every one of them. This slowed our progress somewhat, but it also made for a more relaxed and enjoyable ascent. 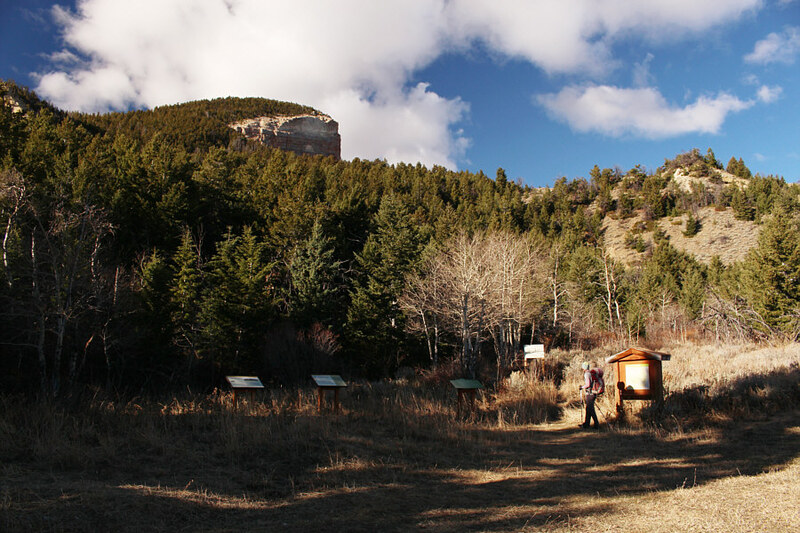 Upon entering the forest at the base of Heart Mountain, Zosia and I passed an information kiosk which serves as a secondary trailhead for a longer alternative approach via a road to the north (the access to this road is about 1.2 kilometres east of the interpretive centre). Beyond the kiosk, the trail makes a few sweeping switchbacks up the east side of the mountain before ending at a large register box near the summit. We braved the chilly wind for a few summit photos before retreating to the shelter of a nearby tree to eat lunch and sign the register book. 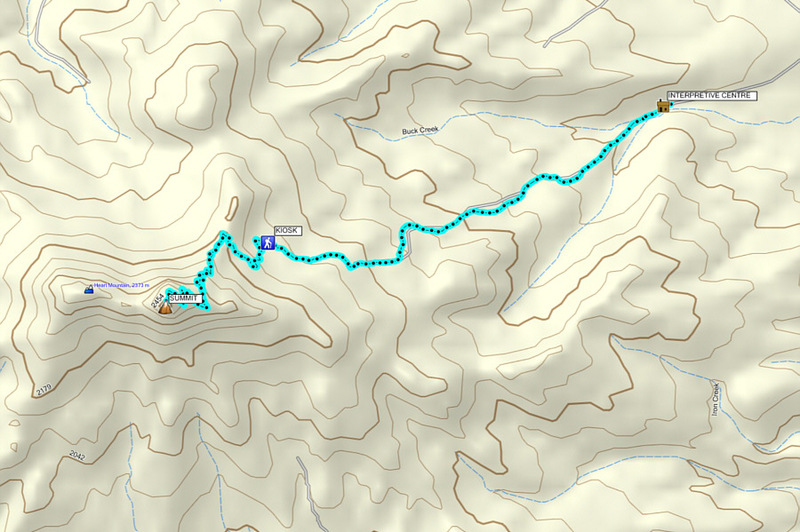 When we were ready to descend, we uneventfully retraced our steps back down the trail and out to the interpretive centre. On our drive out, Zosia and I stopped just before the main highway to visit a memorial dedicated to the thousands of Japanese Americans who were evicted from the west coast and incarcerated near Heart Mountain during the Second World War. 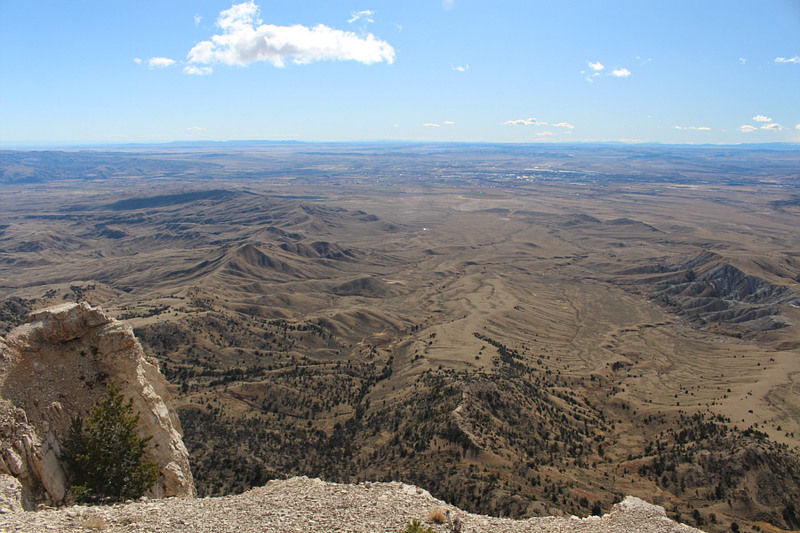 For many of them, Heart Mountain came to symbolize hope and freedom in an unjust situation. More than a few of them have returned and added their names to the summit register book. Heart Mountain marked the end of another crazy road trip for Zosia and me which saw us visit 6 US States and tag 14 summits. We drove over 7300 kilometres and had 1 flat tire (just like our road trip in October 2016). We slept 2 nights in hotels, 1 night in Zosia's tent, and 13 nights in the back of my Honda CR-V (including 1 night in a Walmart parking lot which turned out to be one of the best sleeps we had on our trip). Best of all, I got to share the entire journey with my plucky Polish girlfriend whom I would like to thank for constantly allowing me to sleep a few extra minutes while she usually got out of the car before dawn to make herself breakfast in sub-zero temperatures. Kocham cię, Zosia! 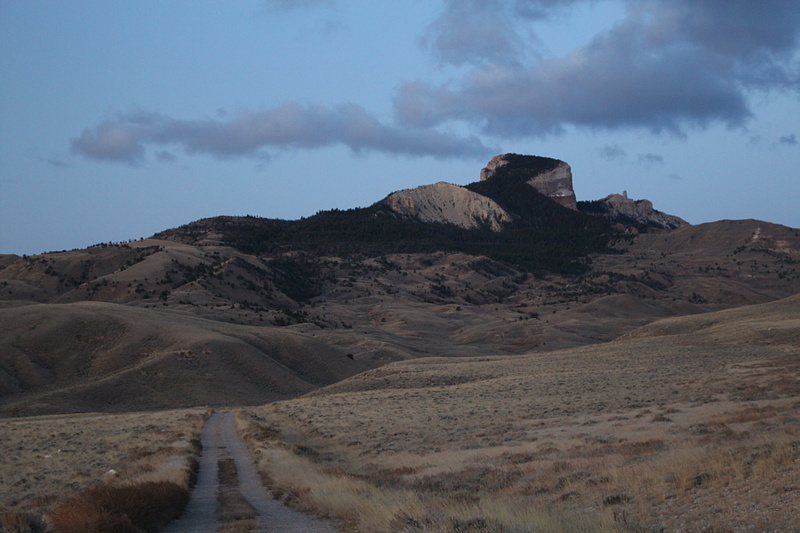 A good gravel road leads to Heart Mountain. 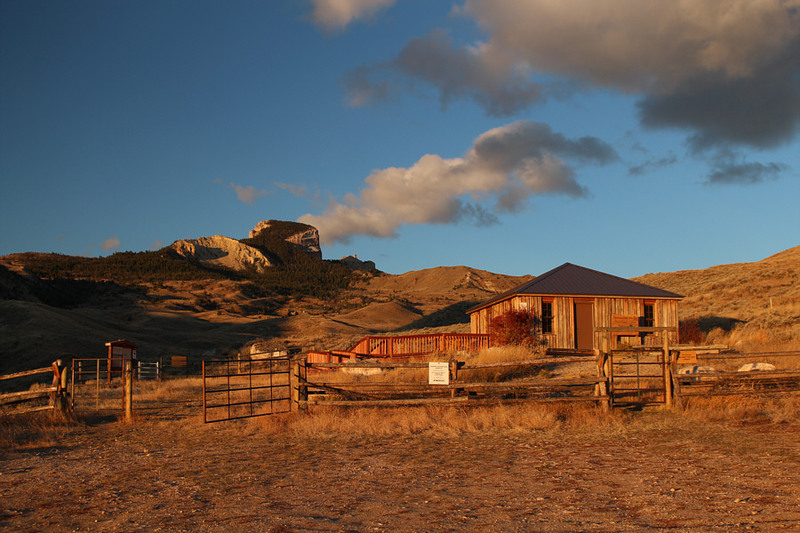 The trailhead is located beside Heart Mountain Interpretive Center. Zosia stops at one of the many interpretive displays along the trail. The windy conditions on this day are somewhat offset by the pleasant sunshine. 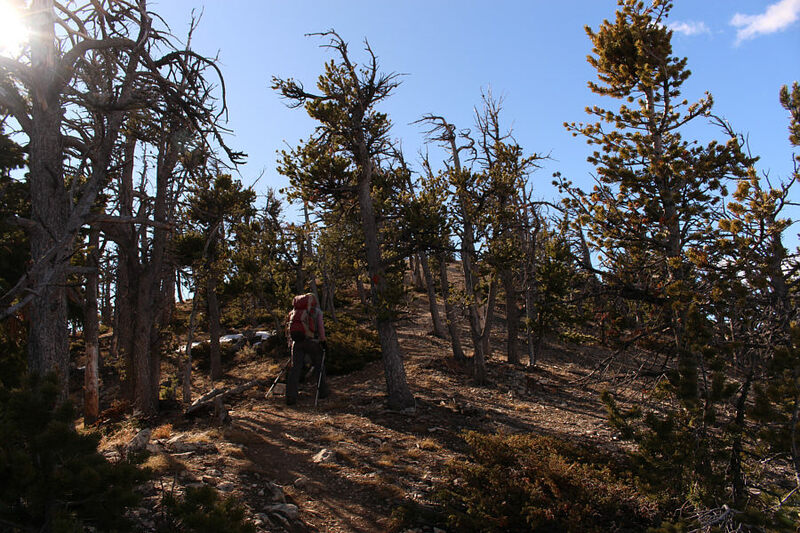 Closer to the mountain, the trail climbs a bit more steeply. This is a secondary trailhead for an alternate approach along a jeep road further to the north. 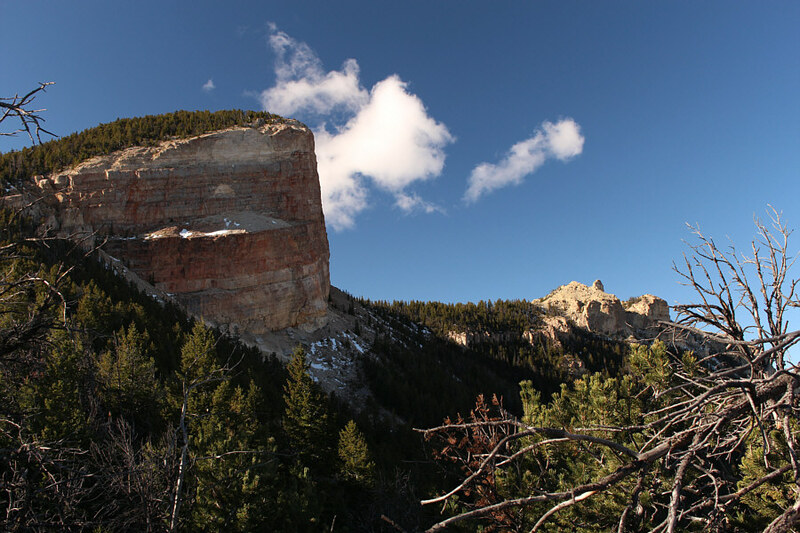 There are some big cliffs on the north side of Heart Mountain. 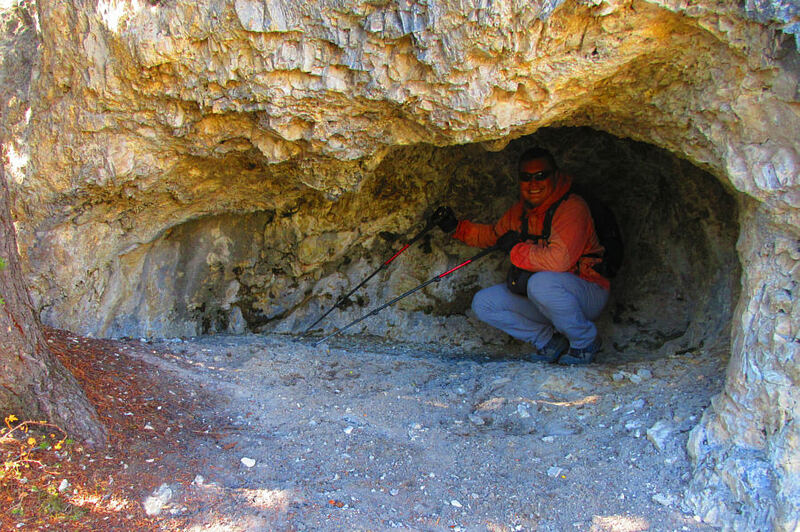 Sonny squats inside a shallow cave along the trail. 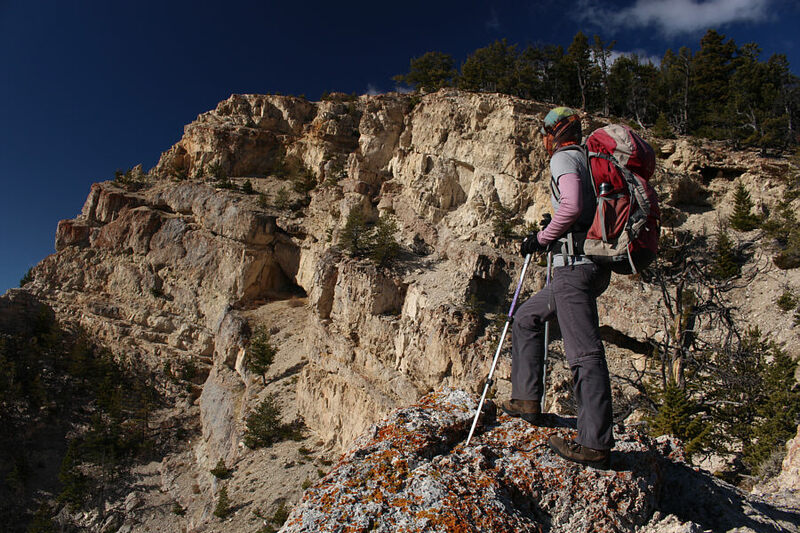 Zosia gets her first look at some cliff bands on the south side of Heart Mountain. Zosia approaches the summit which is just beyond the trees. 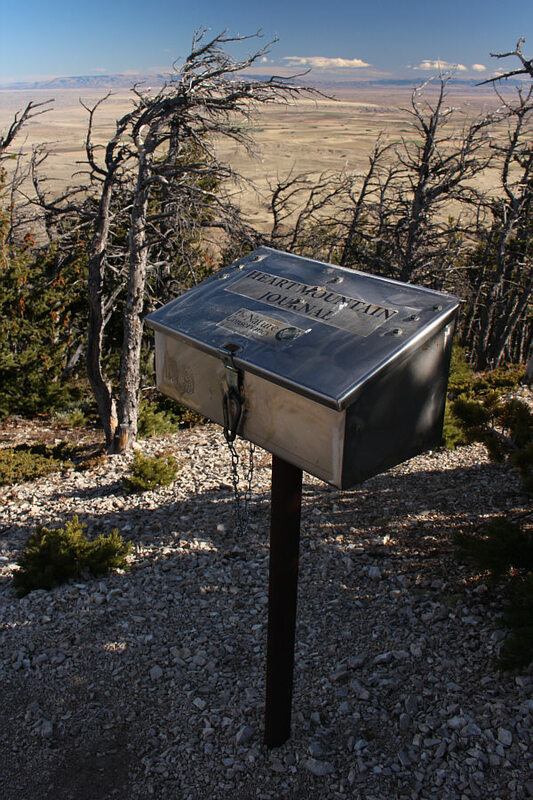 A rather elaborate register box awaits hikers near the summit. 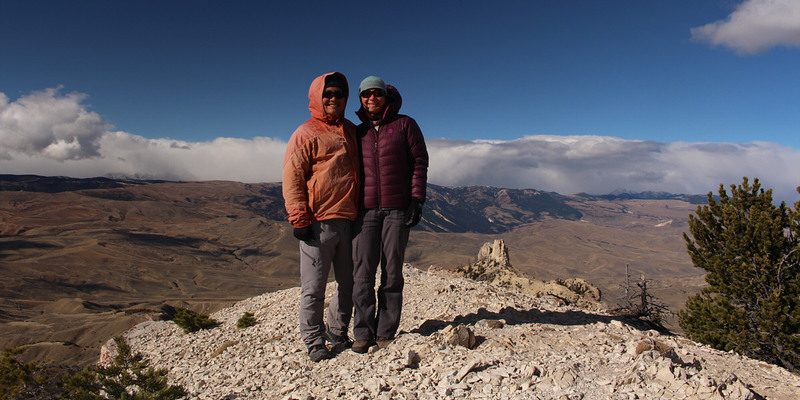 Sonny and Zosia stand on the summit of Heart Mountain (2476 metres). 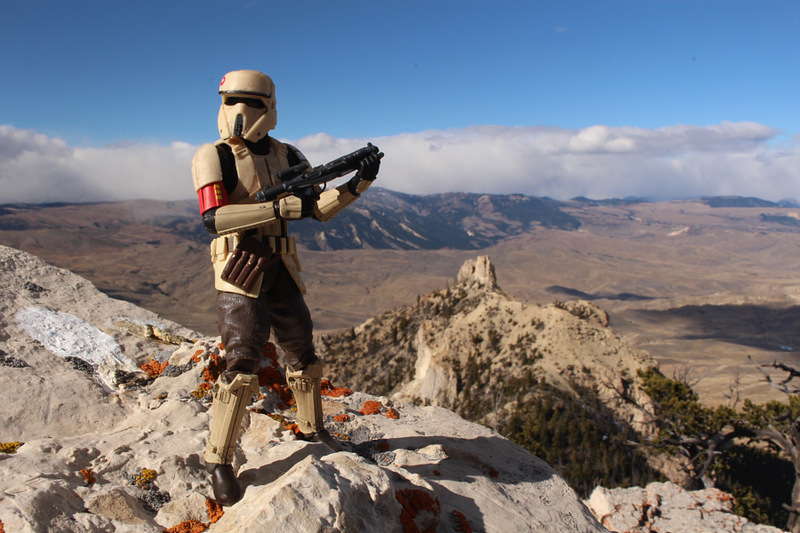 The town of Cody can be seen in the distance to the south. 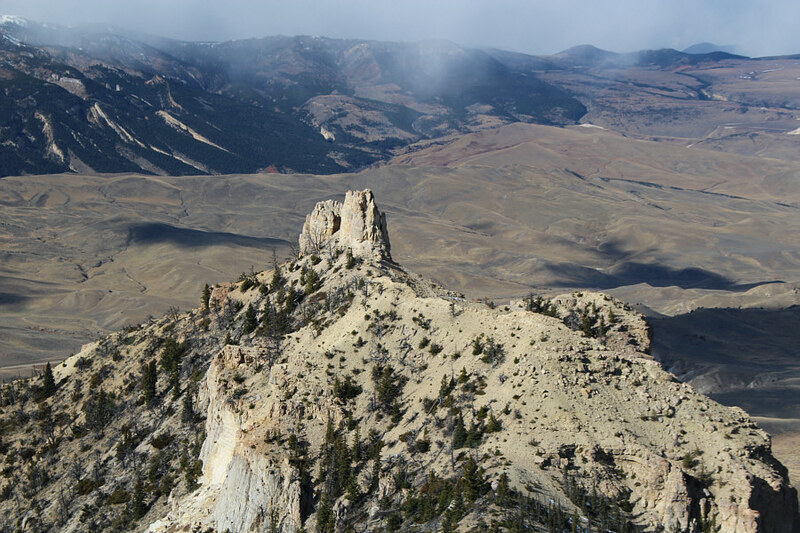 The pinnacle at the west end of Heart Mountain is about 52 metres lower than the true summit. 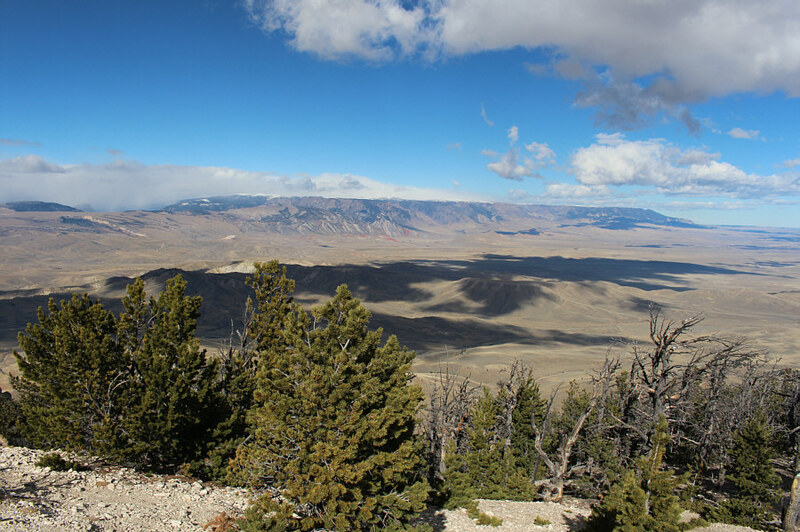 Beartooth Mountains stretch across the northwest horizon. On the eastern horizon are McCullough Peaks. 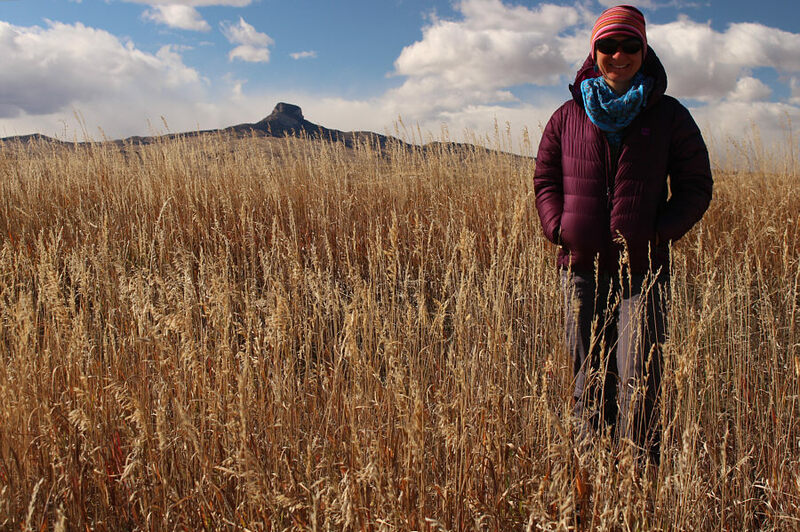 Zosia stands among the grass near the former Heart Mountain Relocation Center which was an internment camp for Japanese Americans displaced from the west coast during the Second World War.